On this multi-day tour from Boston, visit Newport, RI and Hartford, CT before heading to NYC, Philadelphia, Washington, DC, and Niagara Falls During this trip, you'll visit the world-renowned attractions in Washington DC and New York City as well as the Liberty Bell and Independence Hall in Philadelphia. You'll also have the chance to take cruises in both Washington DC and New York City to enjoy the magnificent views from the rivers. Day 1: Depart from Boston at 9 AM to the Breakers Mansion in Newport, RI before visiting the Mark Twain House and Museum in Hartford, CT. Enjoy a night tour of NYC before your overnight in New Jersey. Overnight at Edison Hotel, NJ (or similar hotel). Day 2: Your tour of NYC includes visits to the iconic Empire State building and Intrepid Sea, Air and Space Museum. Continue on to the Statue of Liberty Cruise. Mid-afternoon, visit Madame Tussauds Wax Museum. Your last stop is the Metropolitan Museum of Art. Overnight at Edison Hotel, NJ (or similar hotel). 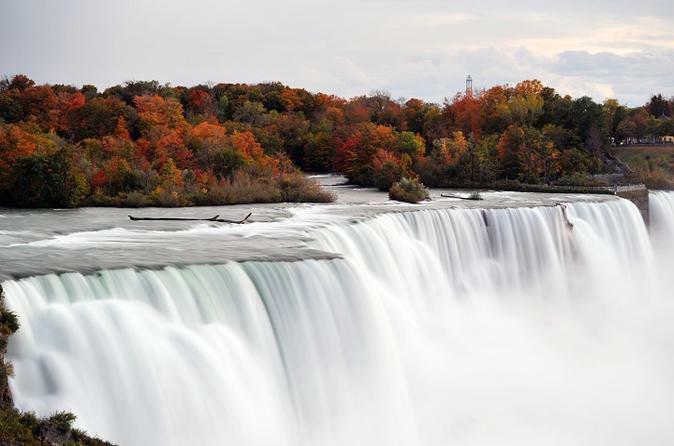 Day 5: Continue to explore Niagara Falls where we will see the Niagara Falls Adventure Movie and then stop at historic Old Fort Niagara and Whirlpool State Park. We will return to Boston and arrive around 9pm. Note: entrance fees to all attractions noted in the itinerary are an additional cost and are not included in the price of the tour.